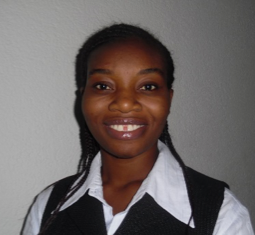 Deborah Sekyi is a graduate of Kwame Nkrumah University of Science and Technology and holds a degree in English. She later worked with “Operation Serve” mission project towards kindling social and spiritual transformation in four villages in Northern Ghana. She further served as a teacher at Every Nation Academy, Bo, Sierra Leone- West Africa and later as a missionary to Sierra Leone. She has also worked with Scripture Union (SU), Great Commission Movement (GCM) and Sierra Leone Fellowship of Evangelical Students (SLEFES). She pioneered Excellent Youth Outreach ministry and worked with youth in several other churches. Deborah is really gifted in transforming the lives of children and youth wherever she finds herself. As Christian Transformation and Training Officer, the Edify Ghana team is tapping from her rich experience in Christian youth ministry.